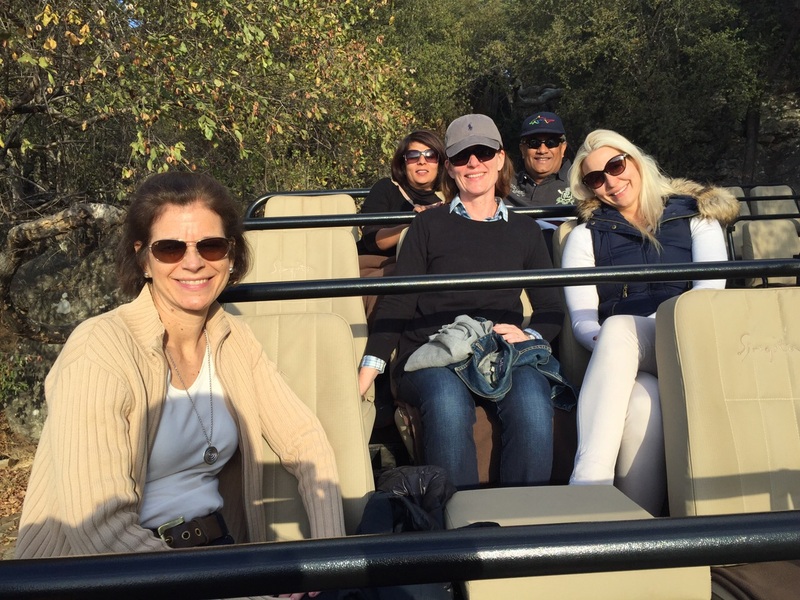 Diane recently spent a weekend at Singita Pamushana Lodge, located in a private reserve in southeastern Zimbabwe. She described it as “one of the all around best safari experiences I have ever had”. Already planning a return trip, Diane shares her insights on the fantastic wildlife viewing and exceptional service offered at Pamushana. There are so many superlatives to describe my recent visit to Pamushana, yet nothing outshines the spectacular scenery and sheer grandeur of this wilderness paradise. It is truly one of the most beautiful places on earth. 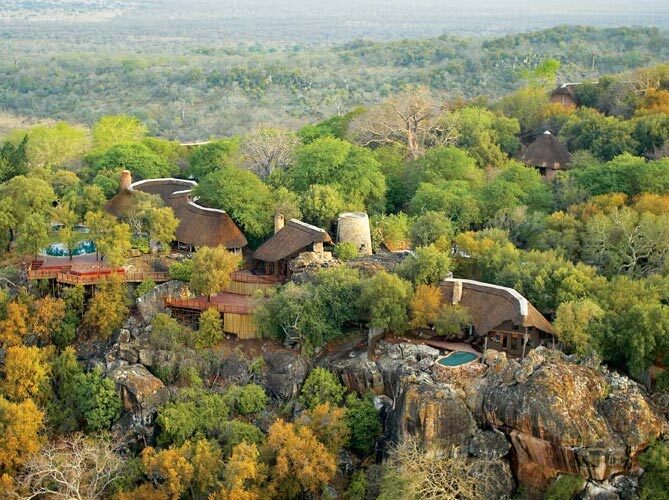 The diversity of the landscape and the variety of eco-systems within the Malilangwe Reserve makes Pamushana an extraordinarily unique and compelling safari experience. Can you imagine a more magnificent view to start your day? And if the room with a view wasn’t enough, my first game drive produced sightings that I had only previously seen in years of game drives in multiple reserves in several different countries. How’s this for a checklist: nyala, giraffe, impala, Lichtenstein’s hartebeest , wildebeest, a herd of 350 buffalo, kudu, elephant, sable, black backed jackals, rock dassies, a herd of 20 eland, 8 white rhino, hippo and lion, of course. Our guide Tengwe, upheld the legendary tradition of professional guides trained in Zimbabwe, with his exceptional knowledge and ability to share interesting insights. We enjoyed day and night game drives, walking safaris (nothing compares to the exhilaration of watching big game on foot) and a sunset cruise on the river. The service was friendly, flexible and flawless! My recommendation: Treat yourself to a glorious week on safari at Pamushana. This is a very special place that you will be grateful you have taken the time to fully appreciate. 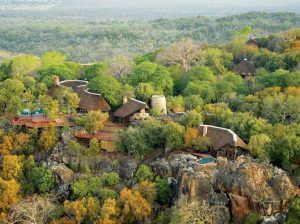 Nestled in a forest overlooking a spectacular dam in the Malilangwe Wildlife Reserve, Singita Pamushana Lodge offers secluded luxury amid breathtaking views and phenomenal game viewing. 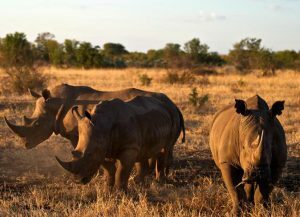 The lodge is situated in an exceptional eco-system, with one of the greatest diversities of large mammals found in Africa. With both land- and water-based activities, Pamushana offers a myriad of ways in which to view game in the area, guided by the top professional guides in Zimbabwe. This combination of a stunning environment and exceptional guiding, with only six game vehicles on 140 000 acres, makes Pamushana’s game experience second to none. Besides Land Cruiser safaris, guest can also enjoy mountain biking and bush walks accompanied by an experienced guide. Each intimate suite offers every conceivable convenience, such as an en-suite bathrooms with indoor & outdoor showers, air conditioning & ceiling fans, fireplaces, private decks, lounge areas, mini bars, private pools, in room safe, and internet connectivity. 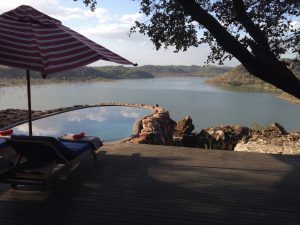 The communal area of Pamushana Lodge consists of an indoor dining room, a teak deck dining area, a bar, a library, an open-air lounge, a wine cellar, two heated pools, and a Jacuzzi all overlooking Malilangwe dam and the nearby sandstone hills. Meals are served either in the outdoor dining room, on the teak deck outside, or in the bush. The lodge also offers a Spa and Yoga room.